Halloween may be over but I had to share this one before I put it away for next year. 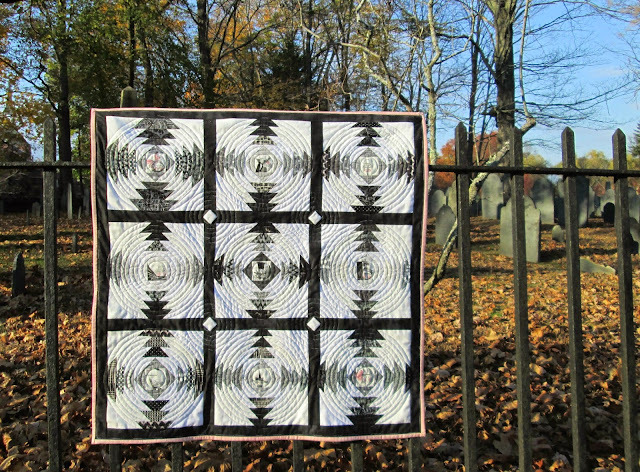 This quilt is the convergence of my current obsessions... pineapple blocks, circular quilting, and the Ghastlies. It started with this awesome Pineapple Variation by my insanely creative friend Alexis and suddenly everywhere I looked there were pineapples. Psych! I used this amazing pineapple block tutorial by Crazy Mom Quilts to make my blocks and then played with the layout until I came up with this. I probably would have tucked the finished top away to quilt next year if Alexis hadn't come to the rescue again. This was the perfect thing to work on during our quilt camp weekend at her fabulous beach house in Scituate. A Nor'easter raged outside but we rode out the storm in style stitching away with snacks, wine and lots of laughter. Pattern: Variation of a traditional Pineapple Quilt. 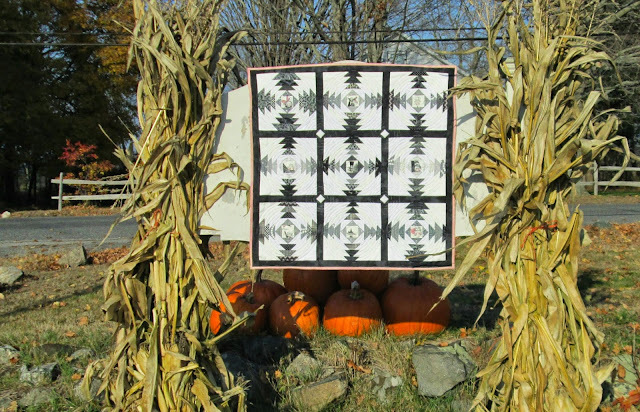 Blocks made using this amazing pineapple block tutorial by Crazy Mom Quilts. 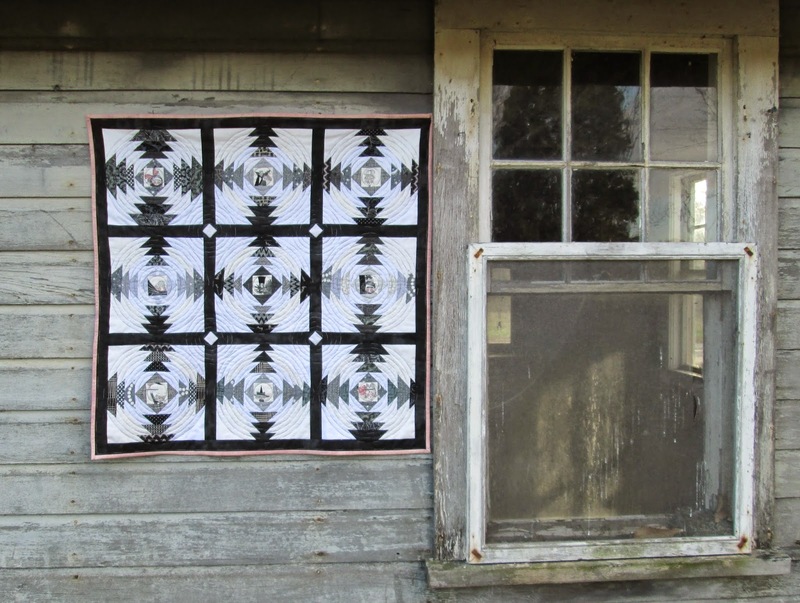 Fabrics: from the Ghastlies collections by Alexander Henry, Onyx Grunge by basic grey, stash. Binding Blush Grunge by basic grey. 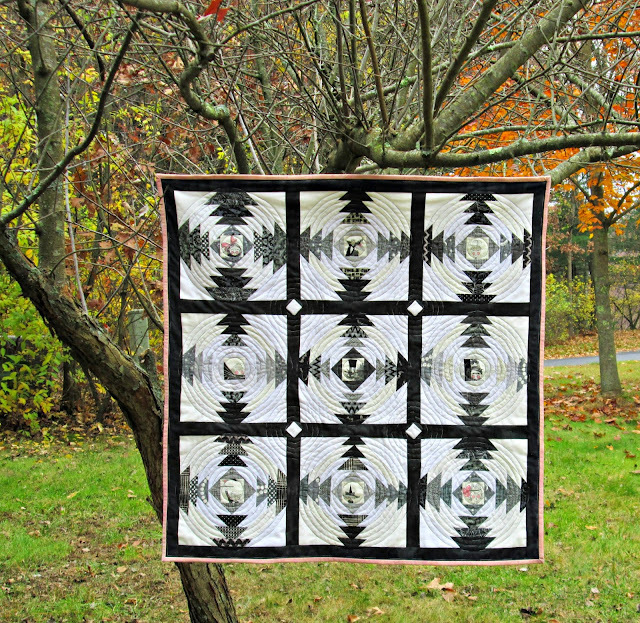 That circle quilting really makes this quilt - great choice. From a distance it looks almost hand quilted. Amazing! 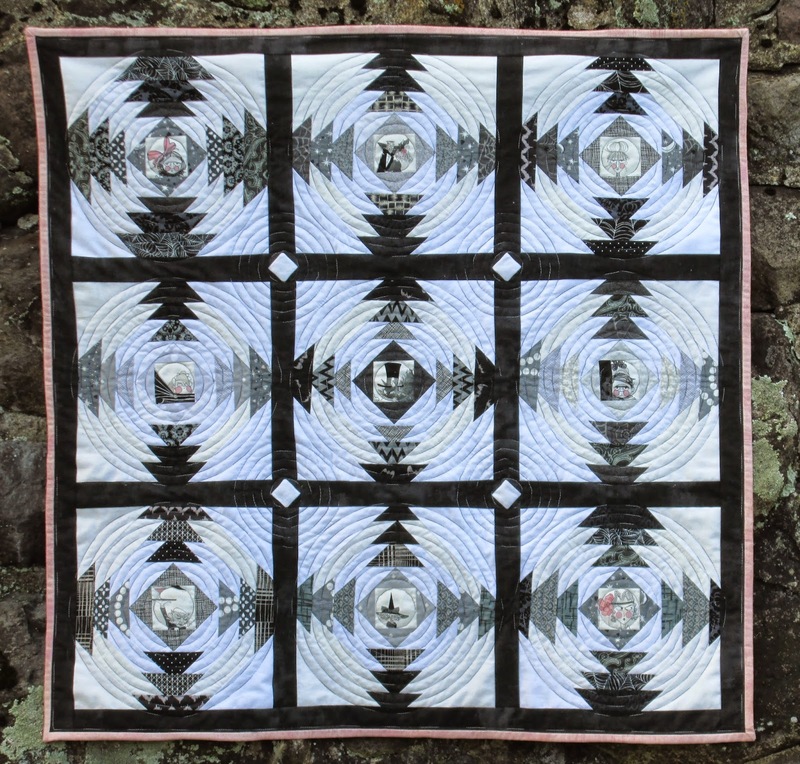 Great combination of pineapple shape and circular quilting! First the quilt made me smile when I saw the Ghastlies again, then I fell in love, it's really wonderful! I just love this block for the Ghastlies!